I earned my B.A. in Psychology from Hunter College in 2014. Currently, I am a doctoral student in the Child Track of the Clinical Psychology Ph.D. program at St. John’s University. I am also a doctoral fellow with Dr. Tamara Del Vecchio and the Child and Family Research Group. My research interests include parent-child relationships and the role that emotion regulation, coercive processes, and technology play in parenting and close relationships. Peter is a member of Dr. Tibor Palfai’s Addictive Behaviors Laboratory at Boston University, where he studies cognitive processes related to decision-making about alcohol consumption and sexual behaviors. He is interested in experimental research and the development of interventions that derive from that research; using a translational approach, he hopes to identify cognitive aspects of risky decision-making that can be modified to protect health and help people control impulsive behavior. 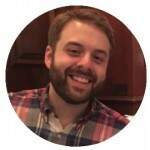 Peter’s past work at the Emotion Regulation Lab included research on using attentional bias modification to reduce implicit associations about alcohol in young adult social drinkers, and he hopes to continue his work in this area during his graduate studies at Boston University. 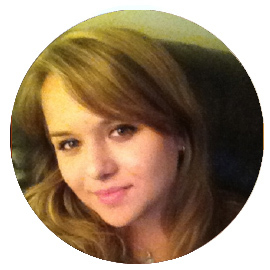 Samantha worked as a lab coordinator for the Emotion Regulation Lab after earning her B.A. in psychology from Binghamton University in May 2015. She is currently a Clinical Psychology doctoral student at Temple University, where she is working in Dr. Thomas Olino’s Child and Adolescent Development of Emotion, Personality, and Psychopathology Lab. Her research interests involve identifying markers of risk for affective disorders, particularly depression and anxiety. She is also interested in how emotion regulation and relationships affect cognitive and behavioral functioning. 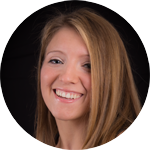 Courtney started working at the Emotion Regulation Lab in January of 2015, and worked as a lab coordinator after earning her BA in psychology at Hunter College in May 2016. She is currently enrolled in Michigan State University’s clinical psychology doctoral program in the Clinical Psychophysiology Lab with Dr. Jason Moser. She is interested in investigating the neural underpinnings of attentional biases and its relationship to anxiety in adults. She is also broadly interested in individual differences in anxiety symptoms and how that may relate to specific aspects of attention. 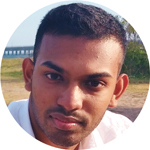 Aqib is currently a Clinical Psychology doctoral student at Binghamton University, where he is working at the Binghamton Anxiety Clinic under the mentorship of Dr. Meredith Coles. His research interests involve investigating various mechanisms that play a role in anxiety disorders, with the goal of using this information to contribute to and refine existing treatments. He is also interested in exploring information-processing biases in individuals with anxiety. 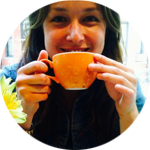 Karlina joined Emotion Regulation Lab in 2015 to work on her undergraduate thesis for Thomas Hunter Honors Program and continued as a post-bac research assistant after graduating from Hunter College in 2016. She is currently enrolled in University of Paris 1 Panthéon-Sorbonne/University of Paris Descartes where she is earning her Master’s Degree in Economics and Psychology. She is interested in learning how behavioral economic theories can affect health and wellness-related behaviors that lead to healthier outcomes. Furthermore, Karlina is interested in examining cognitive and behavioral processes that can trigger harmful behavior and the ways in which researchers can help individuals sustain healthy habits. 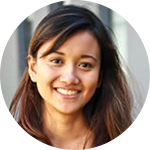 Leona joined the Emotional Regulation Lab in 2016 to work on a variety of digital mental health research projects. She was part of the Personal Zen Team working towards a new and improved version to be released in 2018. She is now back in Sydney, Australia working in the Workplace Mental Health Research Program at The Black Dog Institute in Sydney, Australia. Her new role involves working on a range of digital and face-to-face research projects that aim to prevent the development of mental illness in first responders and other high risk occupations. Isabella recently began working as an intake coordinator within the Hospice and Palliative Care department of Metropolitan Jewish Health Systems (MJHS). She Is enjoying helping contribute to the comfort of patients and learning about nursing. She plans to pursue a professional career in health care. I am currently an undergraduate senior studying Psychology at Hunter College. My research interests concentrate on the psychopathology of anxiety disorders along with treatment approaches for anxiety and life stressors that utilize mobile mental health technology. My ultimate goal is to pursue a Ph.D. in Clinical Psychology. I am a current undergraduate senior studying Psychology and Sociology at Hunter College. Currently, I am in the process of applying to Master’s Programs for Clinical Mental Health Counseling, and intend to pursue a Ph.D in Clinical Psychology. Ultimately, I hope to one day work in a capacity that provides accessible counseling services to adults and children. Alexandra is currently an undergraduate student in the Macaulay Honors College Program at Hunter College. 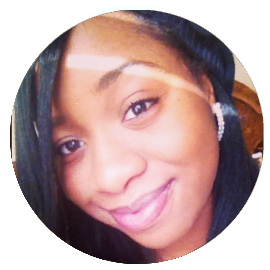 She is on the Pre-medical track and is majoring in Psychology with a concentration in Behavioral Neuroscience. Her research interests center around the physiology of neurocognitive functioning and its impact on one’s mental well-being. Specifically, she is interested in understanding the pathology of anxiety and stress disorders and how regulation of one’s emotions may play a role in facilitating future treatments. I am an undergraduate honors student at Hunter College focusing my studies in psychology, studio art, and public policy. My research interests include treatment approaches for anxiety and stress through emotion regulation, digital mental health methods, and creative arts therapy. In addition to my research involvement, I am an intern at Lenox Hill Hospital in the inpatient psychiatric unit and a teachers assistant for Statistical Methods in Psychology. While I am still exploring career options, I plan to pursue a Ph.D. in Clinical Psychology in the near future. Caroline is a master’s student in Computer Science at NYU, and is interested in the relationship between emotions and cognitive processes and applying machine learning techniques for improving our understanding of human behavior. Her previous research experience is in neuropathic pain and its’ behavioral and physiological effects. She plans to continue her education and pursue a PhD in Psychology. Charlene joined the Emotion Regulation Lab as a research assistant in 2017, two years after earning her B.A. in Psychology at Dartmouth College. Her time here confirmed her research interests and desire to pursue a graduate-level degree in clinical psychology. Charlene’s research interests include the etiology and maintenance of anxiety disorders and trauma and the use of online interventions to mitigate symptoms. When Charlene is not working with pre-teens with learning disorders, she can be found watching Monty Python sketches to unwind. She is in the process of applying to Clinical Psychology doctoral programs and excited for the next chapter of her life.